Donald J Harrell was born on 22 April 1923 in Meridan, Florida. Donald Harrell enlisted in the US Army Air Corps on 18 June 1940 and trained as a Military Policeman. 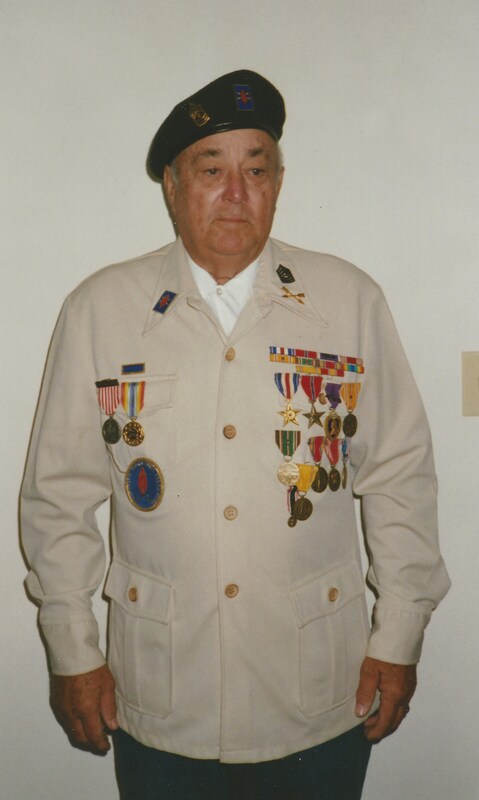 During World War II, Sergeant Harrell served in Africa, Sicily, Italy, France, Belgium, Holland, Germany, Norway, Sweden and the British Isles as part of the 1st Special Service Force (aka 'the Devil's Brigade). During this time, he was the personal body guard to General Robert Fredrick, commanding general of the 1st Special Service Force. As General Fredrick's body guard, SGT Harrell parachuted into the Argens Valley, France, with the 1st Allied Airborne Task Force to block German forces from reaching the invasion beaches. During his assignment as General Fredrick's body guard, SGT Harrell was wounded four times and was captured for seven days before escaping. For his gallantry in action, SGT Donald Harrell was awarded the nation's third highest valor award, the Silver Star. In addition, for heroism in action, SGT Harrell reeveived the Bronze Star with V Device.